Having beautiful jewelry should motivate you to find some ways to display them. All your shiny necklaces and elegant earrings deserve the chance to be admired instead of getting lumped together in a pile in your drawer. 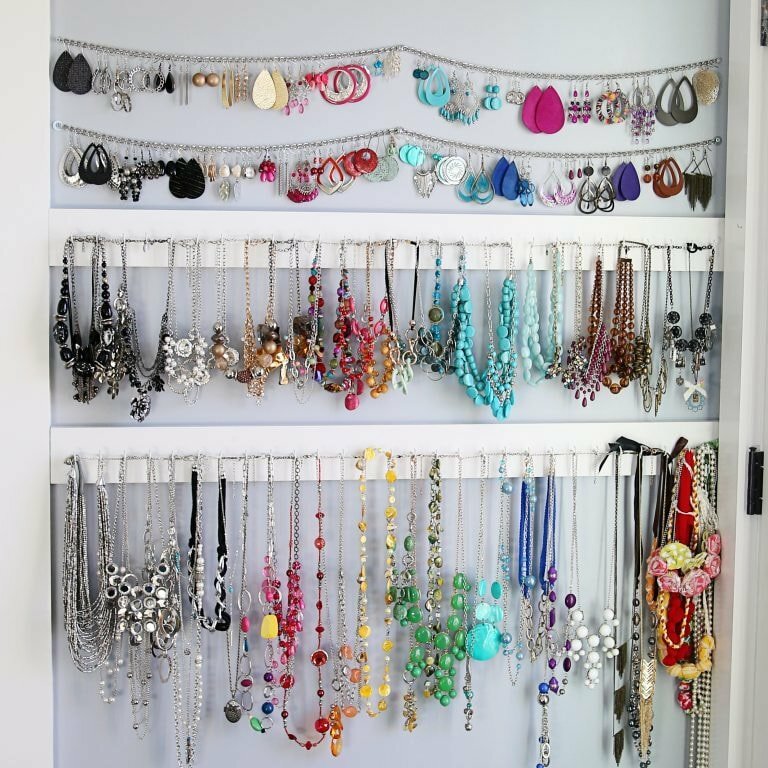 If you feel like you always wear the same jewelry pieces, one important reason to consider is the lack of organization. 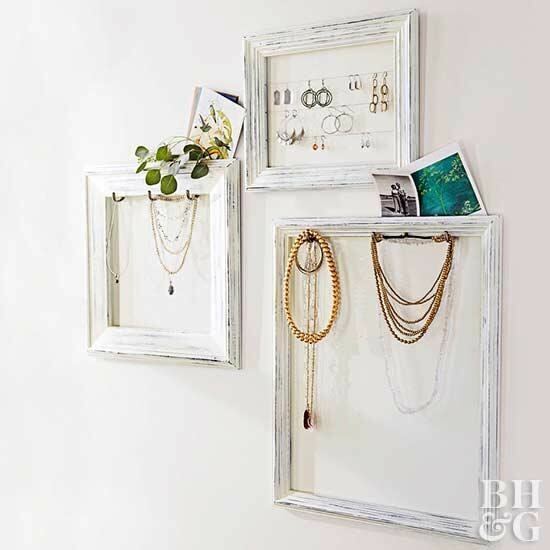 Get that pile of jewelry sorted out and try out some of the best ideas for displaying them in stylish and functional ways. One low-cost option to consider is crafting a jewelry tree using some branches that can be easily obtained from your backyard. The great advantage of this idea is how it allows for versatile displaying of different jewelry pieces. The taller boughs can hold necklaces and bracelets while short spires are more suitable for rings and brooches. 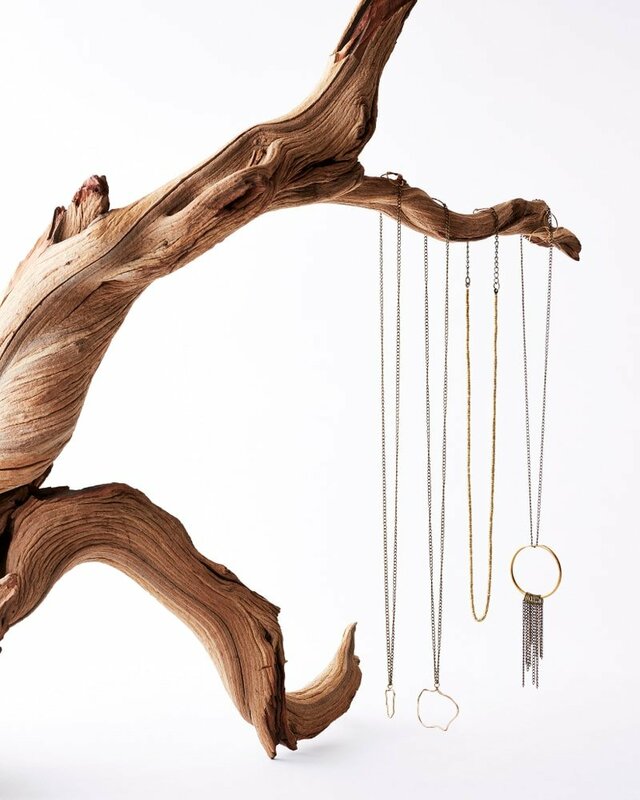 The tree can grow together with your jewelry collection. Simply add more branches as needed. If your collection is particularly large, perhaps going with a good-sized tree branch would work best. One excellent aspect regarding this idea is how it enables you to customize the jewelry tree to suit very different interior design styles including boho or minimal décor. The use of multiple corkboards on the wall represents a great displaying solution for all kinds of jewelry. While corkboards don’t probably inspire a classy feeling right away, a bit of styling can make them fit better with the rest of your décor. 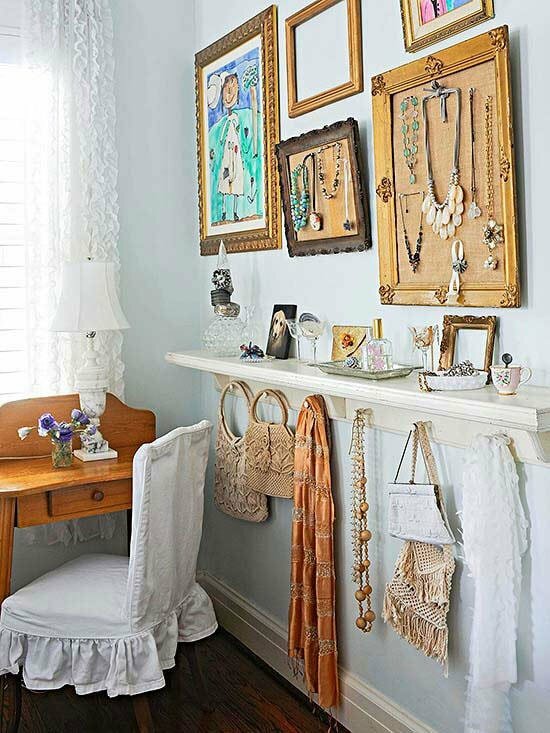 Add some ornate frames to the corkboards or place a few elegant art pieces to keep them company. 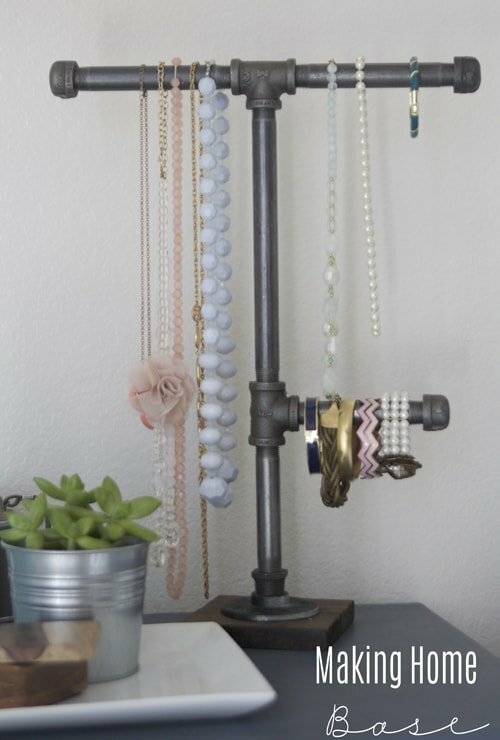 A somewhat unusual jewelry display idea is to tackle an industrial project like this DIY pipe. The contrast resulting from placing such dainty feminine items on a pipe is definitely impressive for anyone who sees it. This is an innovative way to show off your jewelry that’s particularly recommended if you’re a fan of the industrial décor style. This is a relatively low-cost project that doesn’t take much effort aside from looking around the hardware store for the right plumbing. Here’s all you need to know if you’re interested in this DIY project. 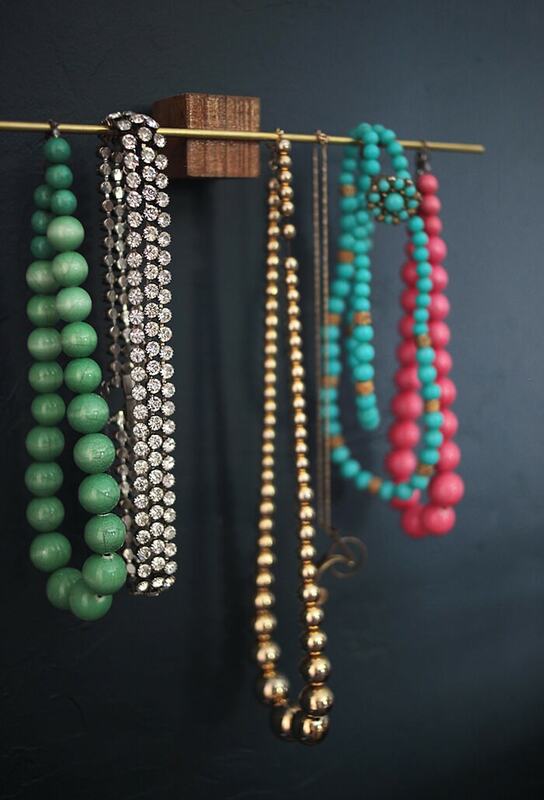 If you’re in the mood for another simple crafting project, you will probably like the idea of hanging jewelry using strips of wood and curb chain. Not everyone has the space required to keep a jewelry armoire so this is an ideal solution to keep your necklaces and earrings organized. To pull off this idea, you will need some wall space to attach the chains and wooden trim boards with hooks. 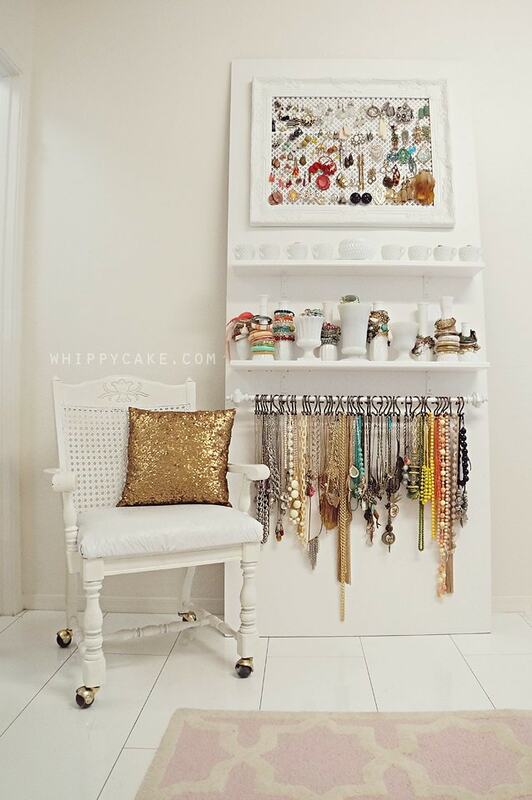 Enjoy a superior level of organization for your jewelry while you also make a bare wall in the room more beautiful. 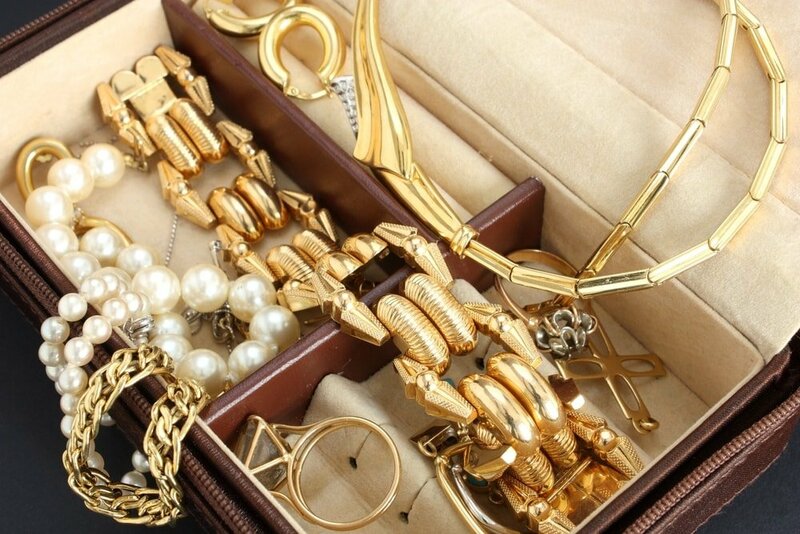 Having a large number of rings represents a good reason to invest in a velvet-lined jewelry box. It will enable you to check all your rings at a simple glance and quickly spot the best one to match your outfit. The velvet design adds a touch of elegance that’s sure to match the look of your stylish rings. Here’s our favorite jewelry box with velvet lining from Amazon. Another rustic idea that can integrate well with many décor styles involves hanging driftwood pieces to display your jewelry. This enables you to showcase necklaces and bracelets in a unique way. 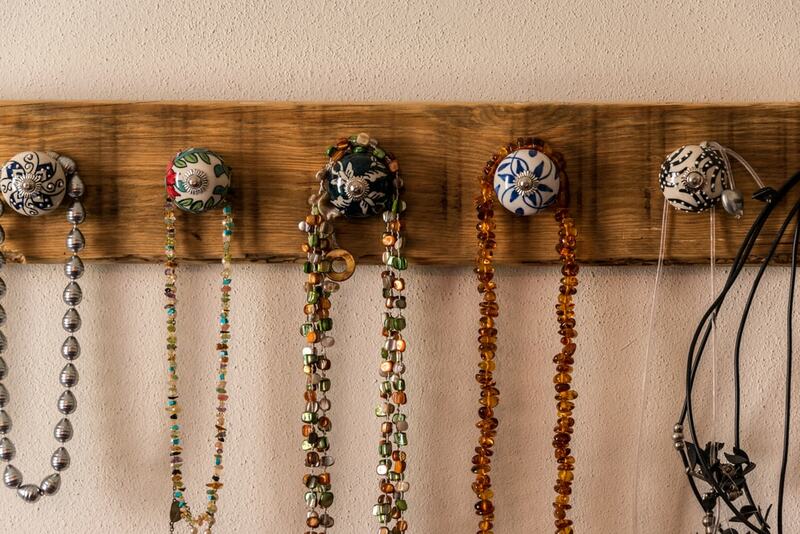 It’s not as functional as other ideas because you can’t hang all kinds of jewelry. It works best for dainty pieces that aren’t too colorful. Driftwood jewelry displays can be crafted if you’d like to tackle an interesting project. You’ll only need the right driftwood pieces to get started and that’s simple to do if you’re near a beach. There’s also the option to find them at craft fairs in case you decide it’s not worth the effort to do it yourself. Sometimes things look better when they’re kept simple. This seems to be the idea behind this project which only requires some old frames, hooks, and wires. 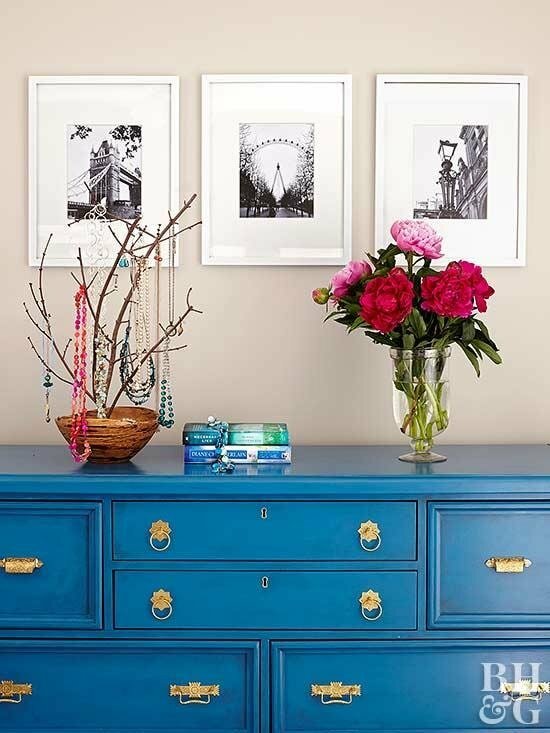 You can use new wooden frames, but for a more pleasing visual effect, it’s recommended to go for whitewashed frames. To complete this look, try to add some photos and a little bit of greenery. 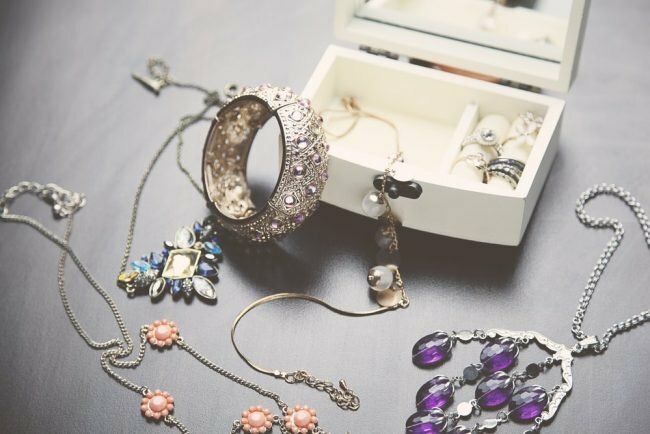 To make your jewelry display stand out from the crowd, you could repurpose items discovered at flea markets or antique shops. For example, when it comes to displaying rings, you might take an old box and create a unique jewelry display from it. 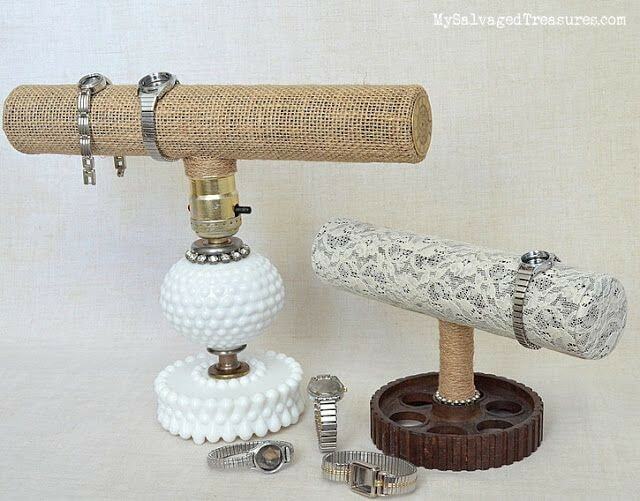 Various objects can be repurposed to serve as jewelry displays that won’t look out of place on the dresser or vanity. Having a way to keep your rings temporarily could be useful in certain areas of your home. 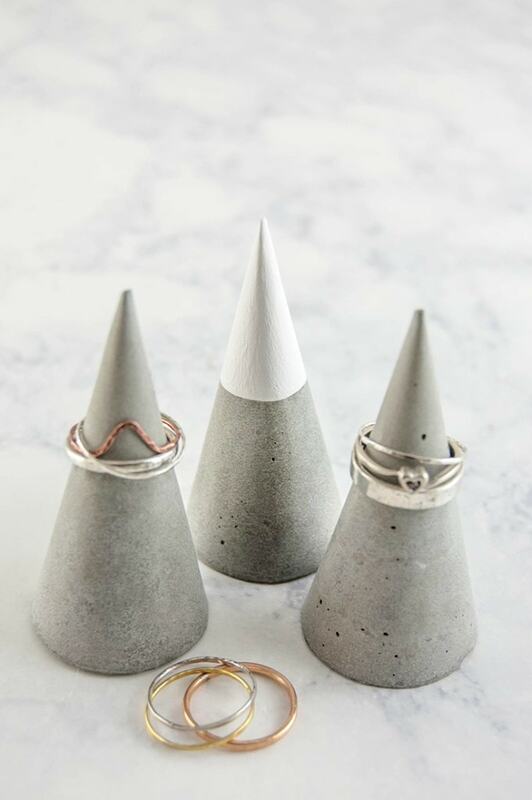 An interesting DIY project is to create cement cones that will hold your rings off like when you need to do the dishes for example. Precious rings need to be taken care of even if it’s not a good idea to display them all the time. It’s better to store them in a safe when you’re not at home, particularly if we’re talking about diamond or gemstone rings. 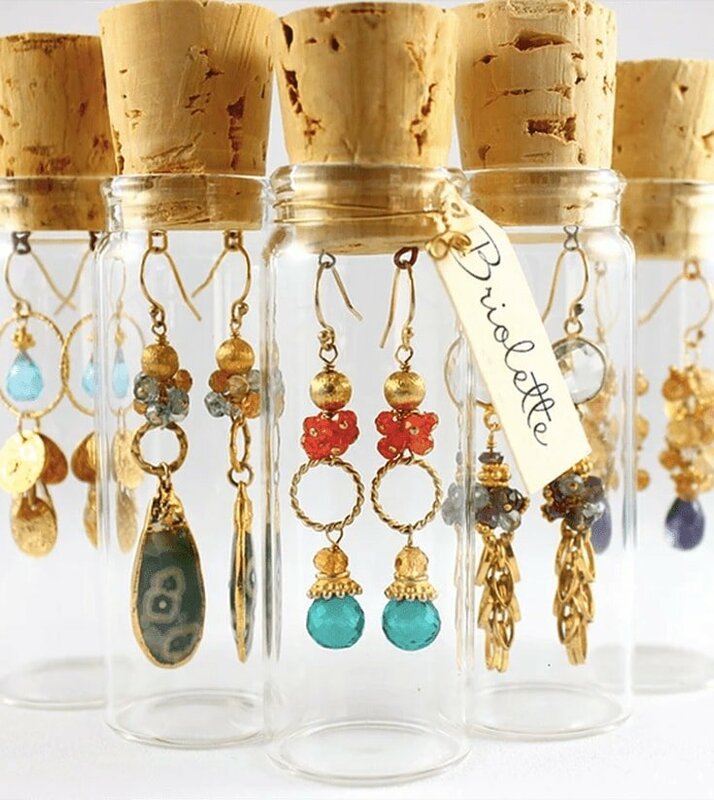 A more unique way to show off your jewelry is by using glass vials. Once again we’ve come across a less practical idea, but one that’s sure to have great appeal among those who value style above functionality. It’s a beautiful idea if you have a smaller collection or you simply wish to showcase some special pieces. Pulling off this idea is much simple compared to others as you can find kits with all the needed materials for crafting projects. Here’s a set of apothecary vials from Amazon that seem to be the right size to display even some longer earrings. For necklaces, you might need a larger jar size. 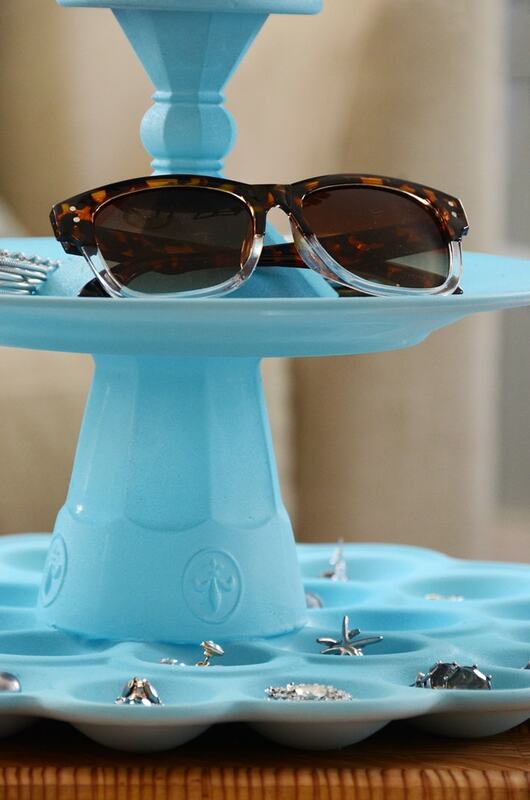 With the right tools, you can display your jewelry in a more satisfying way. One very creative approach is to design your own display board where you show off your varied range of jewelry pieces in a dedicated spot. Storing all your accessories in a central location is very handy and can offer you a valuable opportunity for displaying some prized possessions. If you follow the tutorial for this project you should be able to create a fairly pretty jewelry holder. You will need a few supplies, but there are lots of customizations options available to make an aesthetic display board. One thing that we particularly like regarding this idea is how it treats different jewelry types separately, allowing you to organize them better. There are lots of complicated DIY projects out there that enable you to create some eye-catching jewelry displays. Some people might prefer a simpler idea as they don’t have lots of jewelry pieces or prefer a quick and easy project. Few ideas are as balanced in terms of functionality and visual appeal compared to this one which involves using simple wooden blocks. Crafting some stylish wooden blocks represents a brilliant idea to organize your jewelry collection. They can be used for a wide variety of pieces, though they’re intended for the jewelry that you wear every day. The organization system used by this idea is very convenient and provides a minimalist elegance that lots of people like instead of more complex displays. For those who want a good match for their vintage jewelry, something like a small structure made up of serving trays could be a nice solution. It’s easy to craft this yourself if you have some decorative plates and egg cups. 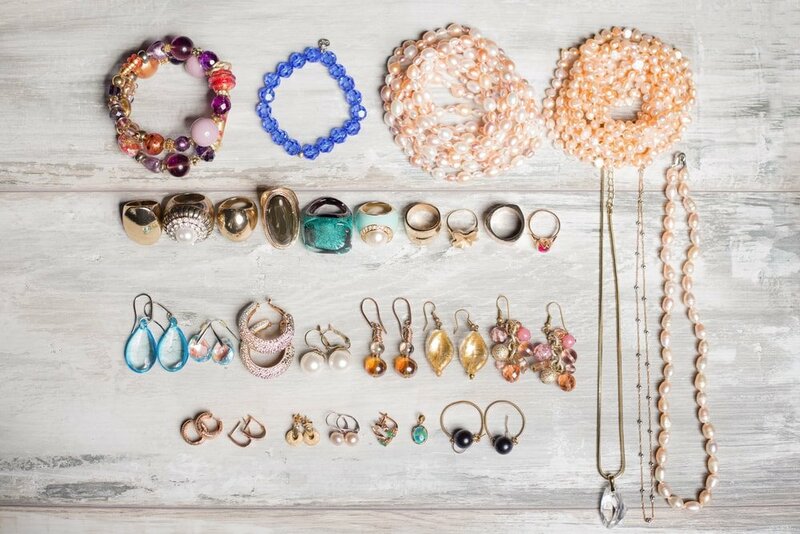 By mixing tiered trays you can separate large jewelry from smaller pieces and organize them better. Your vintage collection of bracelets deserves the proper admiration. Take a look at these stylish bars that have been crafted for this purpose. You can try to give this DIY project a go if you feel like the bars in retail stores aren’t fancy enough for your tastes. The bars can be covered with some rustic burlap or another material that you prefer. There’s also plenty of room for customizing the bases to suit the style of your décor and the look of your antique jewelry. 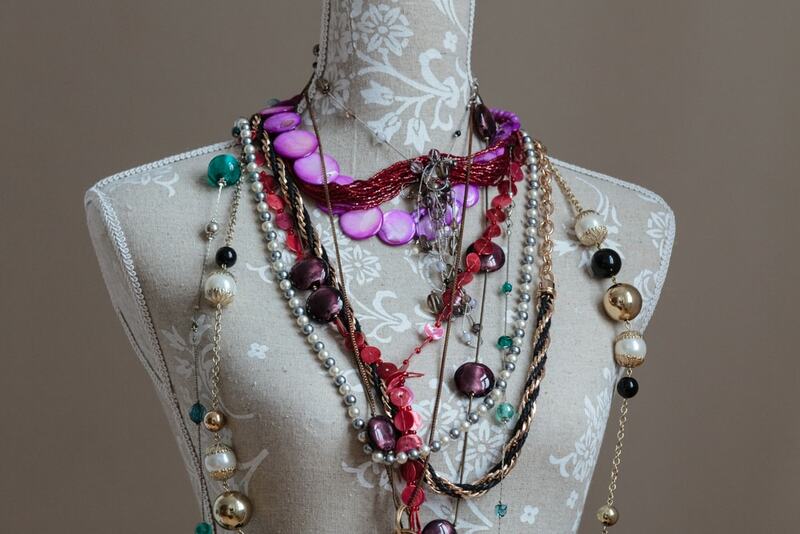 Dressing up mannequins with some vintage necklaces represents an interesting idea to showcase special jewelry pieces. By using some layering techniques according to their sizes, you can create a more attractive visual effect. Old dress forms can work as well if you don’t have a mannequin, but they won’t allow you to display rings and bracelets effectively. 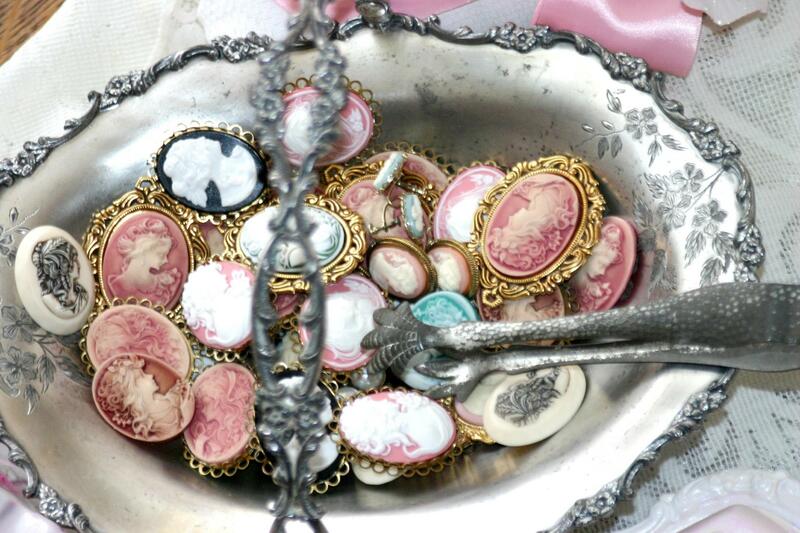 When you own vintage jewelry that doesn’t tangle it’s recommended to try an ornate bowl for displaying them. Elegant porcelain bowls work well, though you could also use some fitting baskets. Containers that are too large for your modest collection of brooches and rings could be filled with some pillow stuffing to keep the look balanced.